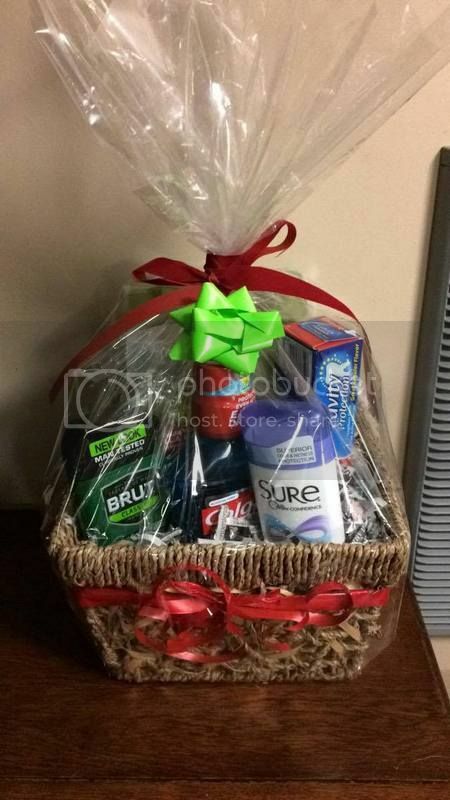 I have never done giving a gift basket for Christmas giveaway ever until last December. I wasn’t also serious with my couponing (in which I should’ve started since I have seen this extreme couponing on TV before) until last December. We could’ve saved lots and lots of money. If you are a frequent reader of my blog, you might know what I am talking about. I share a few tips and deals here for you to give it a try. Couponing do take most of your time, so your time management should be very good as well as frequent going to the store. Because sales every week will be different and each store has their different deals, it’s best to learn days before the deals begin on which item is good to stock for the week. Because I accumulate more items that we can use for the whole month, I have decided to give away a Gift Basket instead. This would save my husband and I tons of money aside from that, it is also a personal care and beauty products that his family will surely need for daily basis. As long as they won’t be picky over anything, they should be fine. I purchased the box with a 70% discount and for the retail amount, I save more as well. I feel like it’s too expensive to buy something without any discount or coupons for it. So, I did my best to make a decent Gift Basket for last year’s giveaway gift. And everyone likes it. I’m glad they do as sometimes, there are people whom so hard to be pleased. Visit Nova's profile on Pinterest. Blog contents © SuPeRnOvA and SwEeTpAiN 2012. All rights reserved. Blogger Theme by Nymphont.